While the U.S. Attorney’s Office is known for complex criminal prosecutions such as fraud, drug trafficking and gang activity, federal prosecutors also devote resources toward punishing corporations that stray from the law. Unlike a typical criminal prosecution where a defendant can end up in jail or on probation, when a corporation is being investigated for wrongdoing its employees and shareholders are not usually facing individual sentences. Rather, prosecutors use monetary punishments to reprimand companies and to send a message to other corporations contemplating similar wrongdoing. Any federal prosecutorial district could decide to go after a corporation conducting business in its district, and the District of Maryland recently closed up two massive investigations that resulted in fines as well as criminal sanctions for employees in one of the cases. The first settlement was announced about a week ago at the Baltimore office of the U.S. Attorney for the District of Maryland, where the government agreed to close its investigation into a large pharmaceutical company in exchange for a $44 million dollar payment to the DOJ. This investigation centered on the company violating the Controlled Substance Act by failing to notify the DEA of large shipments of oxycodone to pharmacies in Maryland, Florida and New York. Federal law requires that pharmaceutical suppliers report all large or suspicious orders for controlled substances such as oxycodone, morphine, Xanax and fentanyl to the DEA, which is tasked with monitoring or attempting to monitor the commerce of legal drugs. 44 million dollars may seem excessive considering the company did not appear to commit any type of fraud, or conceal their wrongdoing. On the other hand, the company did over $120 billion in sales this past year and also agreed to a similar settlement with the DEA in 2008 over failing to report large shipments of hydrocodone commonly sold as Vicodin. This settlement probably angered some shareholders and cost some people their jobs, but it was merely a ding in their bottom line for 2016. The other settlement announced by the U.S. Attorney involved a defense contracting company that was hired by the government to provide services at Joint Base Andrews in Prince George’s County. This well known facility is shared by the Marines and the Air Force, and is home to Air Force One. The company was accused of fraudulently submitting inflated invoices to the government for services that were not actually provided or completed in fewer hours than documented. A payment of $4.535 million to the United States ended the investigation into the company, but three former employees are now facing criminal prosecution for their role in the scam. Two of the former employees pled guilty to conspiracy to commit wire fraud and are awaiting sentencing, while the third faces trial later this next month. The federal government awards hundreds of defense contracts to private companies each year and it is nearly impossible to audit every possible job. Uncle Sam is an easy target for these companies because government workers are rarely held accountable for not thoroughly checking their invoices. After all, it’s the taxpayer’s money and not theirs or their company’s money. The Blog will continue to follow similar settlements where the U.S. Attorney’s Office flexes their muscle against corporations trying to toe the line. We may post another article if a newsworthy scandal is exposed. 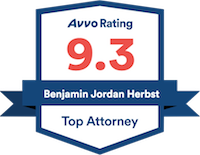 Benjamin Herbst is a state and federal criminal defense attorney that handles drug cases, conspiracy, fraud and theft. Contact Benjamin anytime at 410-207-2598 for a free consultation. 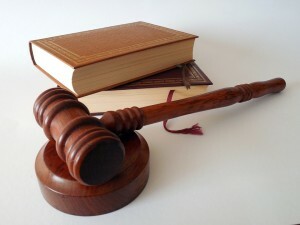 Defense Contractor Agrees to $4.535 Million Settlement for Alleged False Claim Act Violations, www.justice.gov. Cardinal Health Agrees to $44 Million Settlement for Alleged Violations of Controlled Substances Act, www.justice.gov.